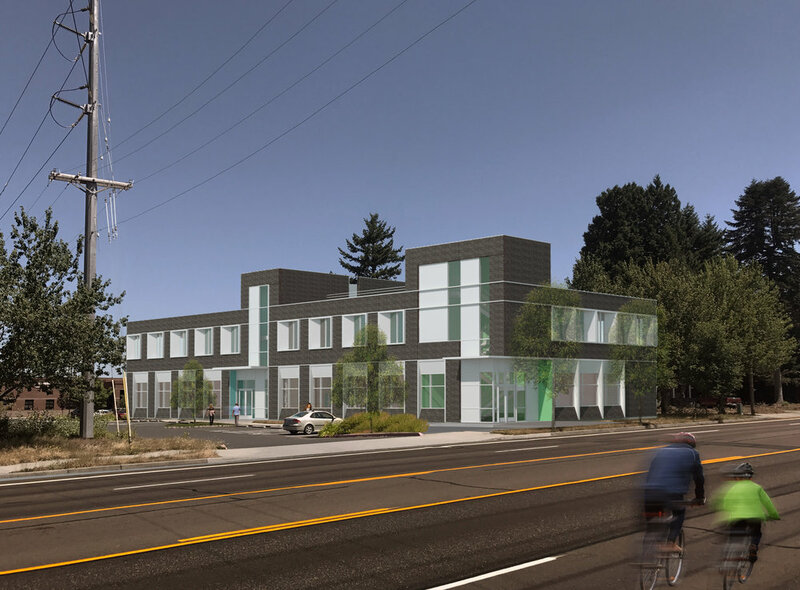 The Stark Street Medical Office Building is a new 20,000 SF multi-tenant medical office building in the Corridor District of downtown Gresham. The regular punched opening pattern typical of medical office development is uniquely articulated and accented with sloping brickwork and angular window patterning. Vertical towers emphasize the third-story roof deck; capturing views of Mount Adams.